Following the success of trialling the UK’s first glaucoma hydrus stent surgery earlier this year, the Birmingham and Midland Eye Centre (BMEC) has forged ahead with another first in glaucoma surgery. Mr Imran Masood, Consultant Ophthalmologist, is the first in the UK to perform the new ‘Glaukos Supra-choroidal Stent’ procedure as part of an international study. The innovative procedure involves inserting the new stent device directly into the space that lies beneath the lining of the eye ball, called the supra-choroidal space, resulting in a significant reduction in eye pressure for adult patients with glaucoma. 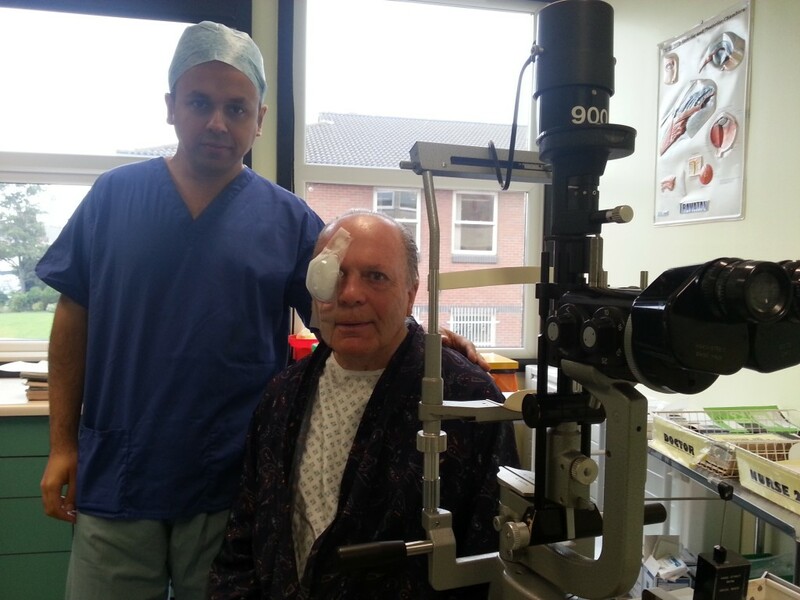 Patient, Patrick Holloway, who was operated on as part of the innovative procedure, said: “I have had glaucoma for 22 years, and was still a merchant navy officer when I first experienced typical glaucoma symptoms. My local optometrist sent me straight to the Birmingham eye centre after noting high pressure in my eyes, and I have been in their care ever since. Mr Masood is a leading expert in glaucoma and has extensive experience in the area of micro-invasive glaucoma surgery using the i-stent. He is nationally renowned for bringing innovative techniques, as part of global studies, to support patients living with glaucoma. Mr Masood has already become the first in the West Midlands to host i-stent surgery and the first in the UK to perform hydrus stent surgery. It is anticipated that in the future more patients will be offered these micro-invasive treatment options earlier in the disease process and as an alternative to other types of surgical glaucoma treatments which carry greater risk.